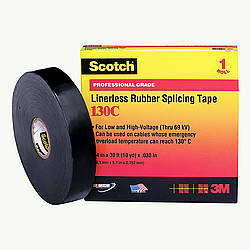 3M Scotch 23 Rubber Splicing Tape is a 30-mil, premium-grade, highly conformable, rubber splicing tape. 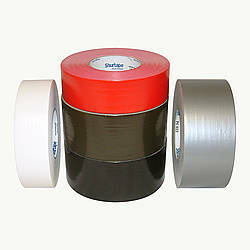 The self-fusing tape has a special polyester liner, which will not stick to the tape upon unwind. 3M Scotch 23 has greater physical and electrical properties that are unaffected by the degree of stretch. This tape is highly resistant to split, crack and flag when exposed to indoor or outdoor environments. It is designed to splice and terminate cables whose emergency overload temperatures can reach 266°F (130°C). 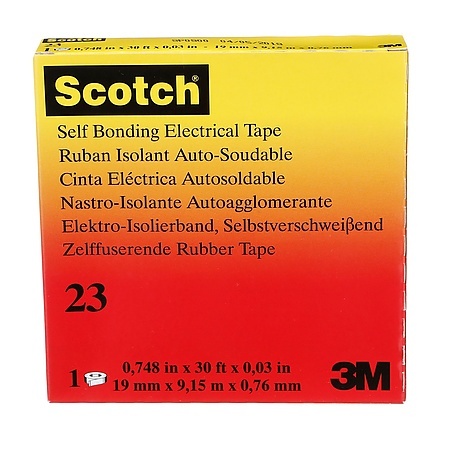 3M Scotch 23 Rubber Splicing Tape is a non-vulcanizing, shelf-stable, self-fusing EPR (Ethylene Propylene Rubber), high-insulating voltage tape, which has a snakeskin liner that is easily removed as the tape is applied. It is compatible with synthetic cables insulations and paper insulations cables. 3M Scotch 23 can be used as an insulation for low-voltage applications as well as an insulation for splices up to 69,000 volts. 3M Scotch 23 Rubber Splicing Tape is compatible with all solid dielectric cable insulation including Polyethylene (high and low density), Cross-linked Polyethylene (XLP), Polyvinyl Chloride (PVC), Butyl Rubber, Ethylene Propylene Rubber (PVC), and Oil-based rubber. Adhesive: rubber resin, thermosetting rubber How are adhesives different?